At first glance the Breeze can be mistaken for the more common Air Ministry 10H series. They both have an aluminium diecast body and a square four hole mounting flange. 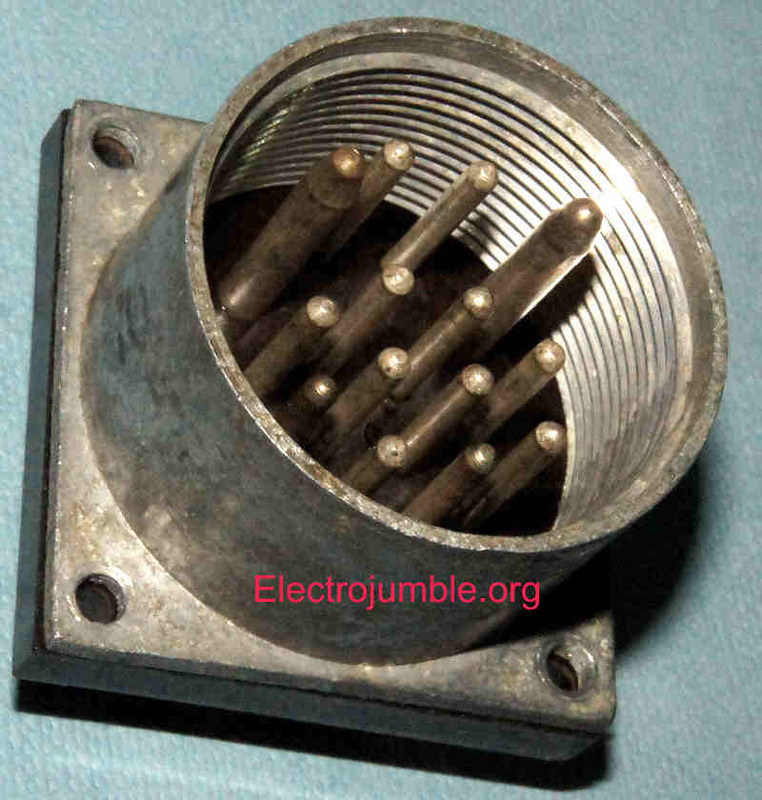 The design using an internal thread prevents damage to the threads on the connector caused by external careless blows to the equipment. Replacing fixed connectors is a lot more difficult than rewiring a free lead. 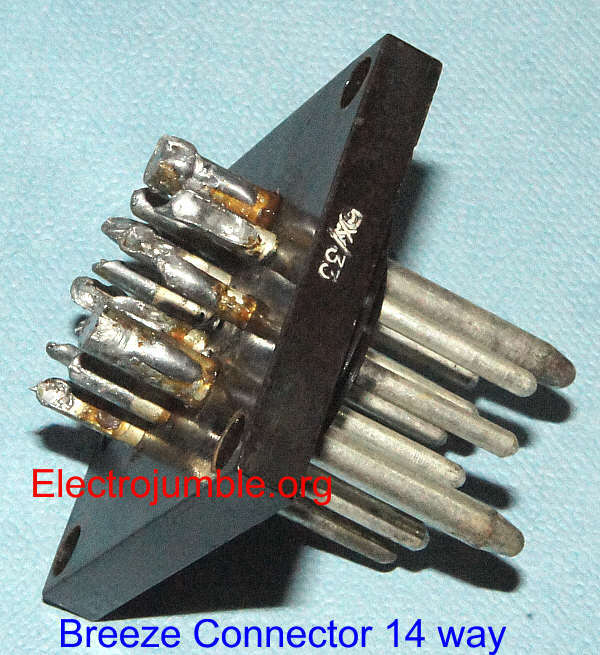 The Breeze connector does not have a keyway, relying on the contacts for mating. Hence polarisation is not possible as in the pattern 104 range. 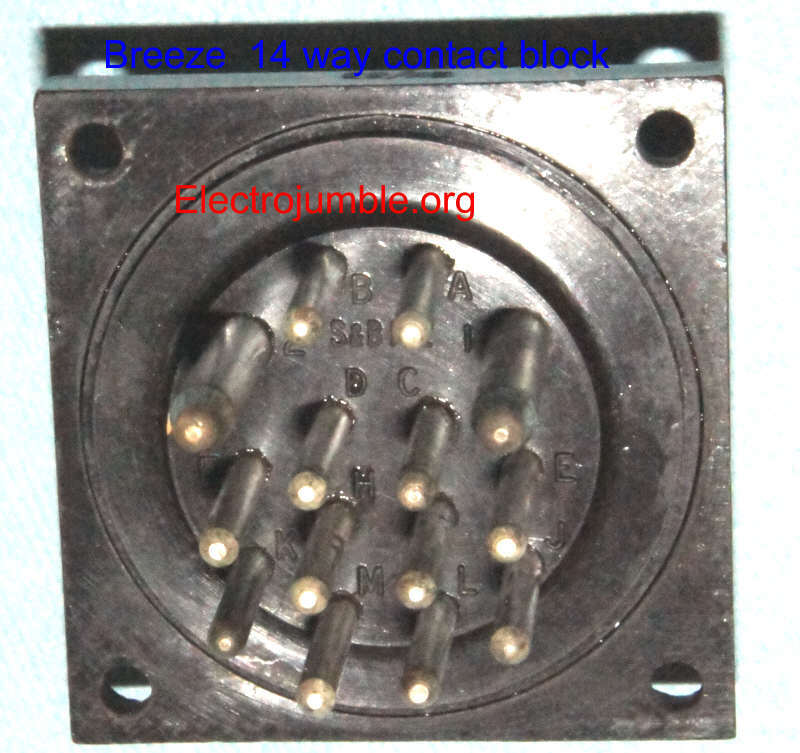 The Breeze have rigid contacts in a moulded contact block which is independent of the housing. Front housings have the internal thread. Rear housings are also used for screening and protection. The internal thread is very close to the thread on the 10H. The 10H/391 shown in the top picture can be screwed into the Breeze but is rather loose. Some examples of the range. "There are 23 contact configurations from 1 to 27 ways. "Although used in many aircraft today, this range was first used in WW II under the trade name "Breeze". 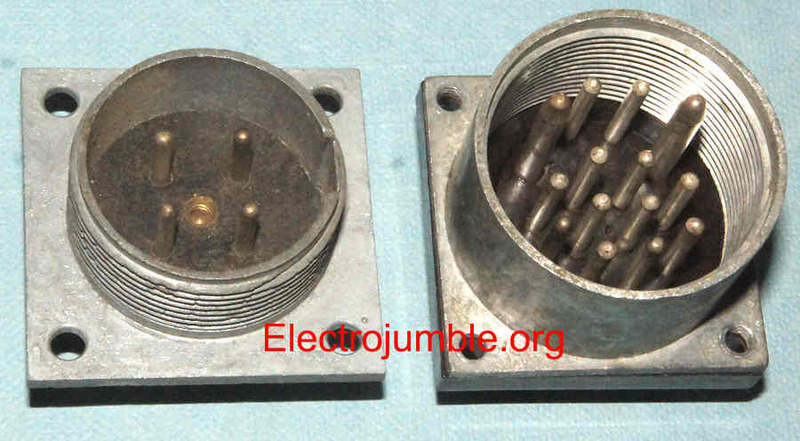 It replaced point-to-point wiring systems and opened the way for mass aircraft production. 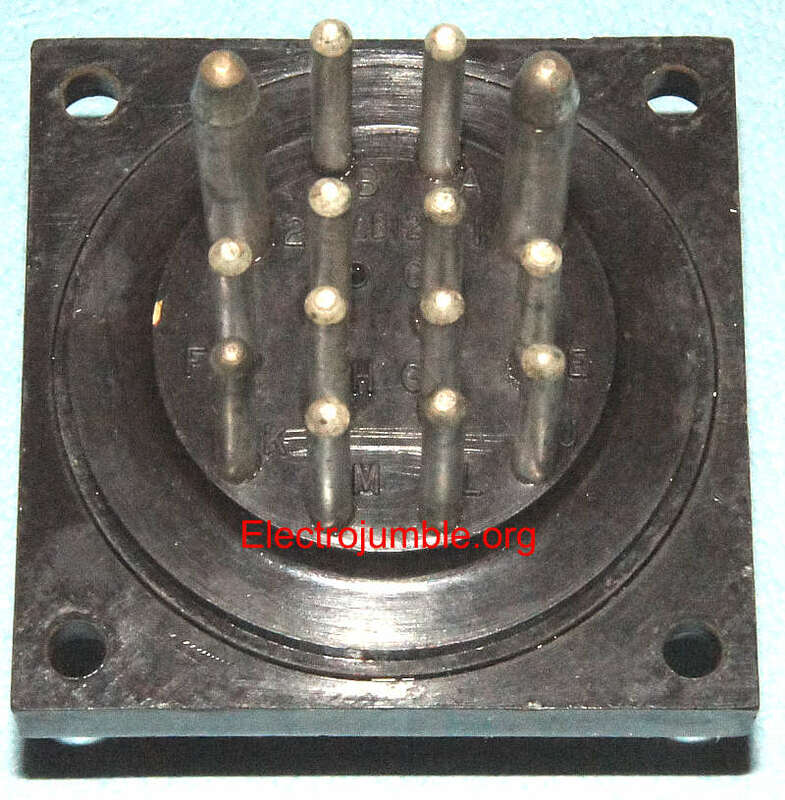 These connectors allowed the prefabrication of complete wiring systems which were then fitted at any convenient assembly stage. Extensive development was carried out to improve temperature conditions, altitude and electrical characteristics with the result the range is capable of operating over the range -65oC to +150oC. " 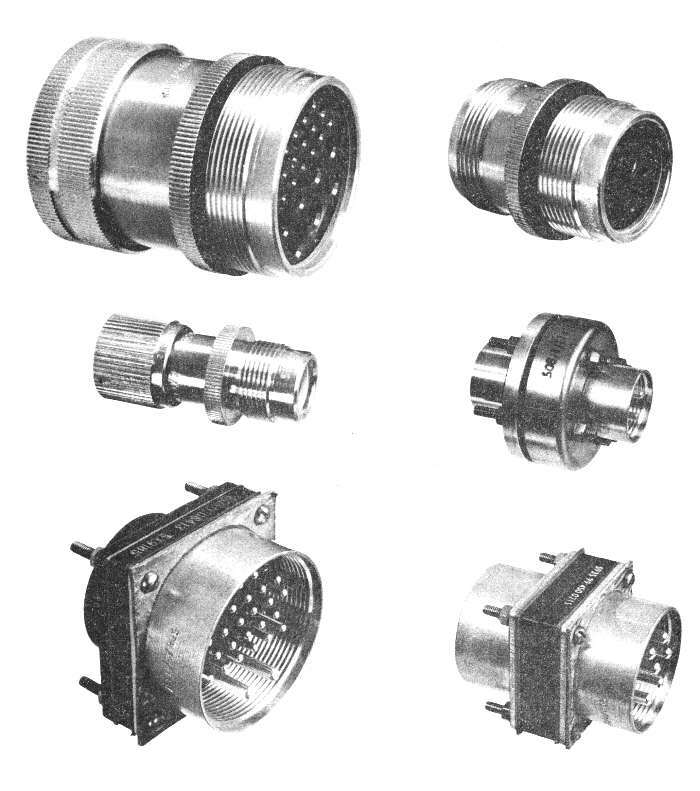 Comparison between an Air Ministry 10H series Connector on the left and the Breeze 5X/33 on the right. The guide pins are some 1mm above the housing.